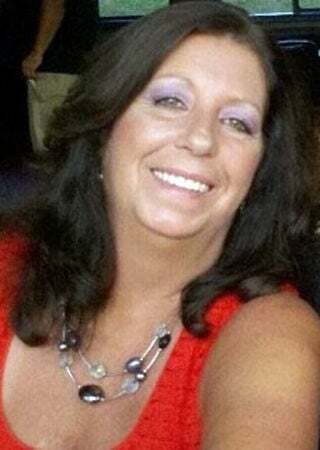 WOLCOTT, IN - Anita Benton, age 61, of Wolcott, IN passed away on Wednesday, January 9, 2019 at Porter Regional Hospital in Valparaiso, IN. Anita was born August 9, 1957, in Mishawaka, IN. She later moved to Crown Point, IN where she attended school. Anita was married in Deep River Park, Hobart, IN on August 10, 1991, to Steve Benton who survives. Surviving with her loving husband Steve are five children, Tony (Elizabeth) Brown of Crown Point, IN, Corene (Nathan) Towne of Brookston, IN, Heather (Jacan Geeve) Benton of Wheatfield, IN, Corinne (Jerod) Furnice of California and Selena (Jeremy) Goodman of Oklahoma; ten grandchildren, Austin, Jaden, Ryah, Lexus, Mason, Jacan II, Savanah, Atlanta, Brooklyn and Brenna, along with her favorite dogs, Scooter, Harley and Zues. Anita is also survived by two sisters, Karen Knoblock and Lisa Friant both of Crown Point, IN and one brother, Michael Long of Washington State. Anita was preceded in death by her mother, Willow Mae (Morgan) Raker, step-father, Jim Raker and her father, Walter Long. For 15 years Anita worked in customer service at the Petro Truck Stop where she was a cashier. She enjoyed spending time crafting, bird watching, taking photo's and making video's. Anita loved being outdoors, going camping, sitting around a bonfire and watching the moon. Her greatest joy came from time she spent with family, taking special delight in time she spent with her grandchildren. Friends and family are invited to a time of sharing memories of Anita on Saturday, January 19, 2019 from 1:00-3:00 p.m. CST at the JACKSON FUNERAL CHAPEL - RENSSELAER. Memorial Services for Anita will follow at the JACKSON FUNERAL CHAPEL - RENSSELAER on Saturday at 3:00 p.m. CST. Contributions in memory of Anita are suggested to the ASPCA or the Wounded Warrior Project. Share memories and condolences at www.jacksonfuneral.com.